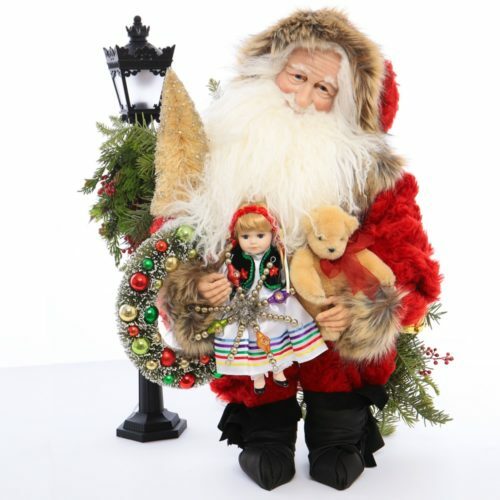 Polar Delivery is a lovely 26-inch Santa with a beautiful arctic style. 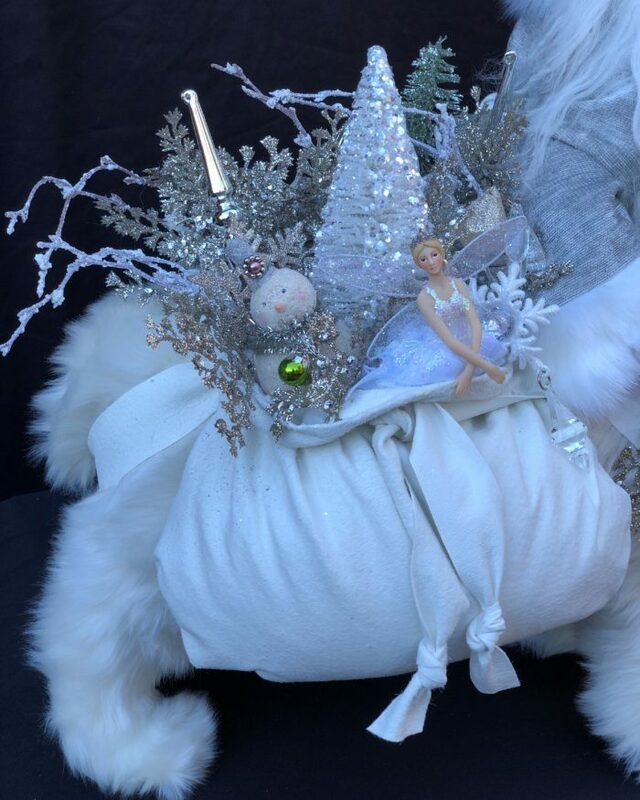 He is dressed in a silver velvet cloak with luxurious white faux fur trim and a white suede cummerbund and boots. 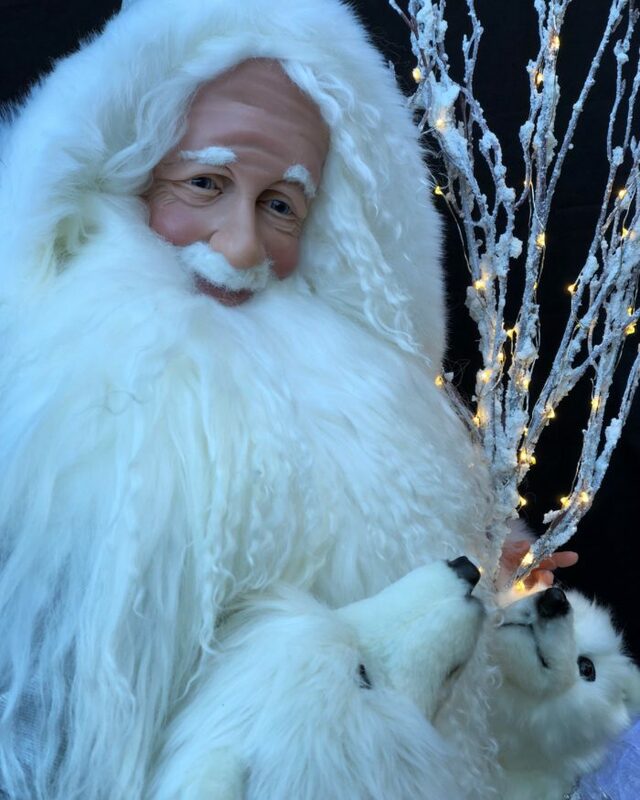 Santa’s friends include two beautiful handcrafted polar bears. He is decorated with frosted branches lit with white lights, and iced greenery, crystals and silver branches. 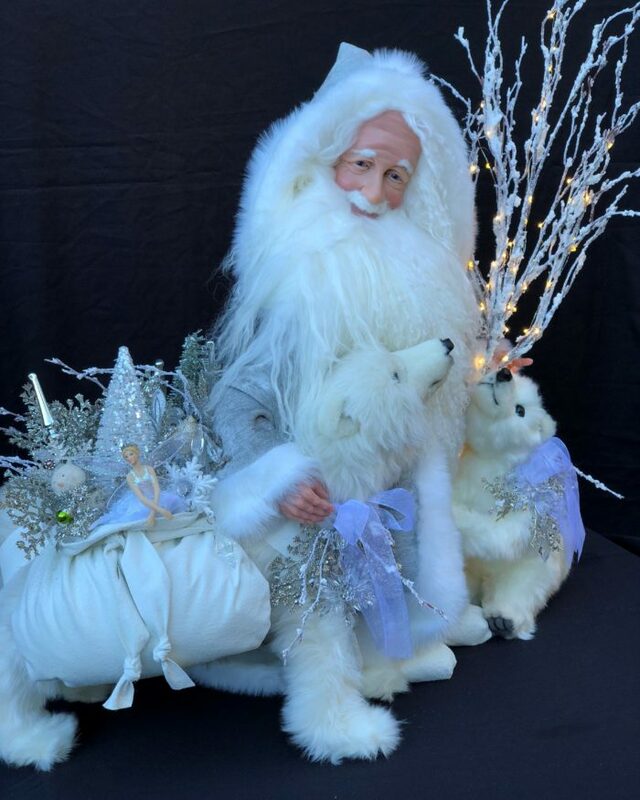 The large polar bear is dressed in white suede bags with brilliant toys and frosted greenery. 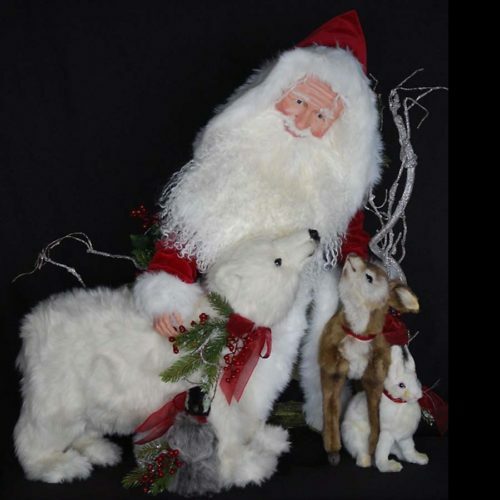 Like all Stone Soup Santa’s, he has a soft Tibetan wool beard, and a hand sculpted face. 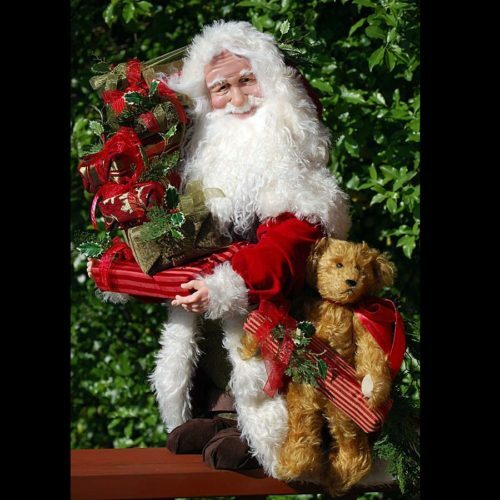 This Santa will be a beautiful addition to any Santa collection.